Centuries before the name Marie Kondo sparked joy (and fear), people lived with very little stuff. Closets weren’t a commodity, and hardly any time was spent in the bathroom and kitchen—organizing, socializing, or otherwise. Now, architect Ankie Barnes’ job is to gently drag Georgetown’s historic residences into the modern age. Ankie became said steward in 1983, two years after escaping an apartheid future in his native South Africa. He was a qualified architect back home, but knew he’d struggle to find a job in the U.S. without an American degree, and decided to earn a Master’s in New England. Ankie worked for a Georgetown firm for seven years, where he met his business partner. 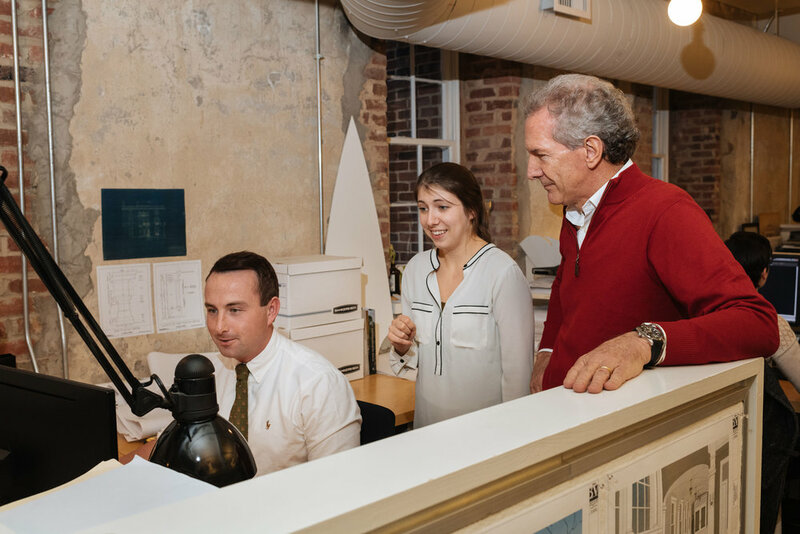 Together, they broke out on their own in 1989 and founded Barnes Vanze Architects. Since then, the firm has moved four times—all within a three-block Georgetown radius. 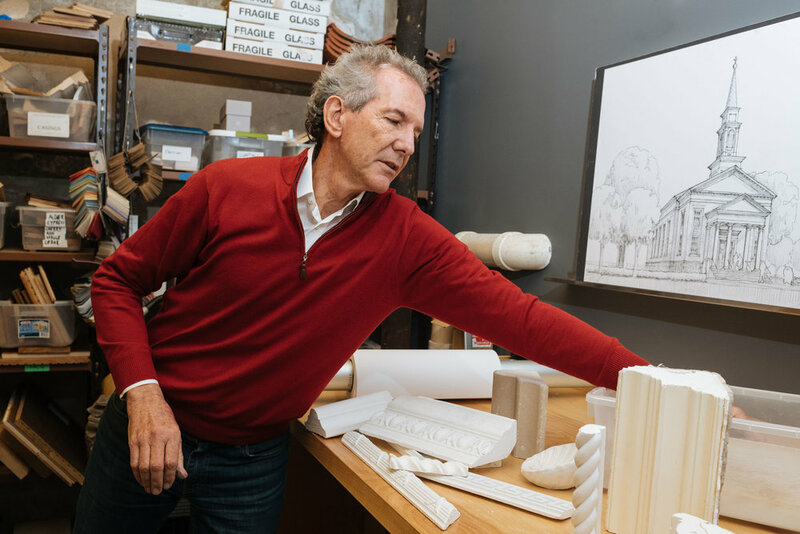 With more than 1,500 projects completed since the firm’s inception, Ankie says the key is listening to the client, and building a great version of what they want—not what he thinks is great. Ankie begins by involving every member of the household and identifying their individual strengths of expression—whether verbally, or three-dimensionally. From there, clients select five to 30 images that capture the things they really like. Ankie mines those images for the visual clues needed to find ‘a touchstone sensibility or two’ to guide many of the aesthetic choices. Ankie’s favorite projects don’t necessarily equate to size or prominence, but rather the interest and passion of the client. One of his most memorable was an arts studio for a retired lawyer in his sixties who always dreamed of being a painter. But architecture has always energized Ankie. By 14, he knew it was the path that best captured the intersection of art and science, as well as his interest in the environment. He took basic courses in everything from construction to woodworking, served as a draftsman for an architect—‘the lowest of the low apprentice’—and worked every vacation. Like most architects of his time, Ankie was trained largely as a modern architect. Since his practice has matured, he says he’s become more respectful of the importance of a classical education. In other words, Georgetown. Ankie says the scale of M St and Wisconsin Avenue is world-class—a spectacular design that’s stood the test of over two centuries. Ankie’s firm has worked closely with many neighborhood businesses, renovating shop fronts and making them ‘their own best self,’ while still adhering to historic preservation guidelines. 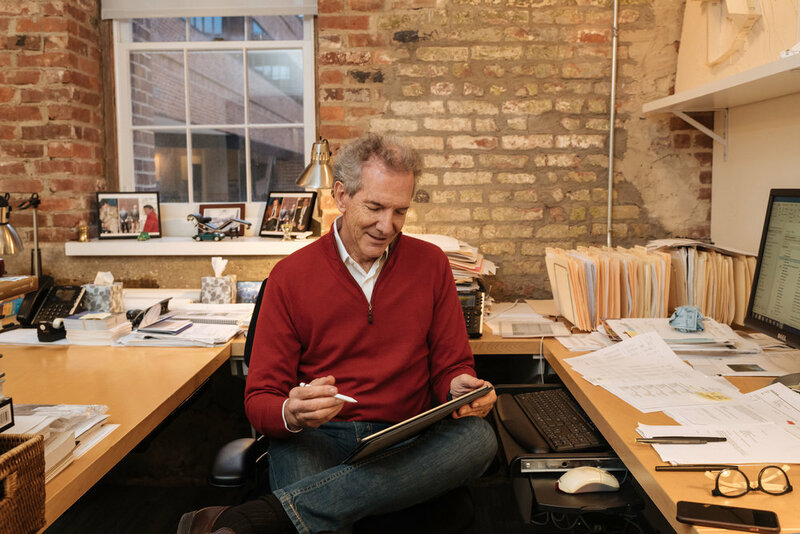 A Georgetown resident himself, Ankie feels lucky to have stumbled into a profession that not only suits him, but is reflected in every aspect of his life. A profession that sparks joy.